Artists You Should Know: Jonny Lang | True Endeavors Presents: music, tours, tickets, mp3 downloads, concert pictures, videos, Madison WI. Grammy-winning songwriter and guitar master Jonny Lang has lived and breathed the blues since he was a child. He released his solo debut, Lie To Me, when he was only 15 years old, and has been a major player on the modern blues scene ever since. Over the years he has even shared stages with artists like B.B. King, Jeff Beck, Aerosmith, and the Rolling Stones. We’ve always been in awe of Jonny’s virtuosic approach to the guitar, and are anticipating a naturally stellar performance when he plays Madison on July 11th at the Capitol Theatre (tickets available here). If you’re one of the few people out there who hasn’t heard of Jonny before, don’t worry—allow us to introduce him. Read on to learn more about this talented artist and his upcoming Madison gig. Tickets also available at the Overture Center Ticket Office at 201 State Street in Madison, or charge by phone at 608-258-4141. 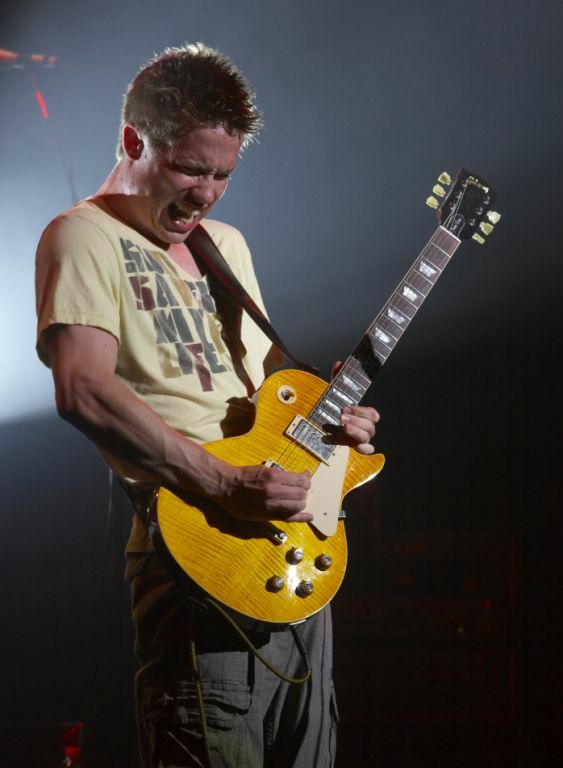 Jonny Lang started playing the guitar at the age of twelve after his father took him to see the Bad Medicine Blues Band, one of the few blues bands in Fargo, North Dakota. Lang soon started taking guitar lessons from Ted Larsen, the band’s guitar player. Several months after Lang began, he joined the Bad Medicine Blues Band, which was then renamed Kid Jonny Lang & The Big Bang. The group moved to Minneapolis, Minnesota and independently released the album Smokin’ when Lang was fourteen. Lang was signed to A&M Records in 1996. He released the critically acclaimed multi-platinum Lie To Me on January 28, 1997. The next album, Wander this World was released on October 20, 1998 and earned a Grammy nomination. This was followed by the more soulful Long Time Coming on October 14, 2003. Lang’s newest album, the gospel-influenced Turn Around, was released in 2006, and most recently won Lang his first Grammy Award. In more than ten years on the road, Lang has toured with the Rolling Stones, Buddy Guy, Aerosmith, B.B. King, Blues Traveler, Jeff Beck and Sting. In 1999, he was invited to play for a White House audience including President and Mrs. Clinton. Lang also makes a cameo appearance in the film Blues Brothers 2000 as a janitor. In 2004, Eric Clapton asked Lang to play a the Crossroads Guitar Festival to raise money for the Crossroads Centre Antigua.